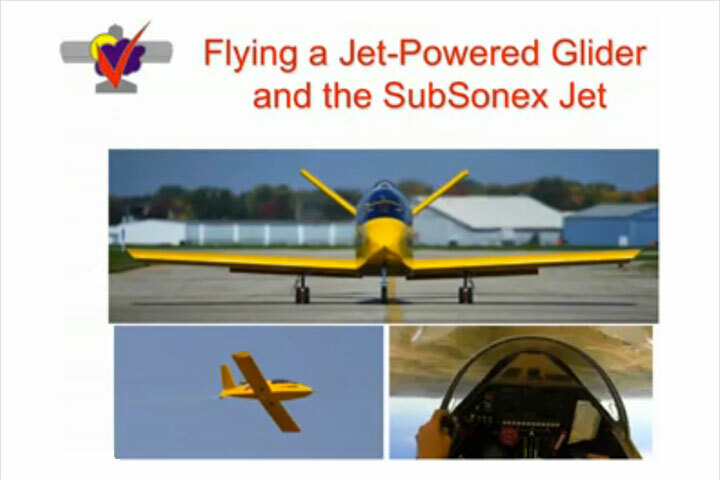 Sonex has the best set of plans ever produced for a kit aircraft. Everything you need to build the airplane can be found in the plans. 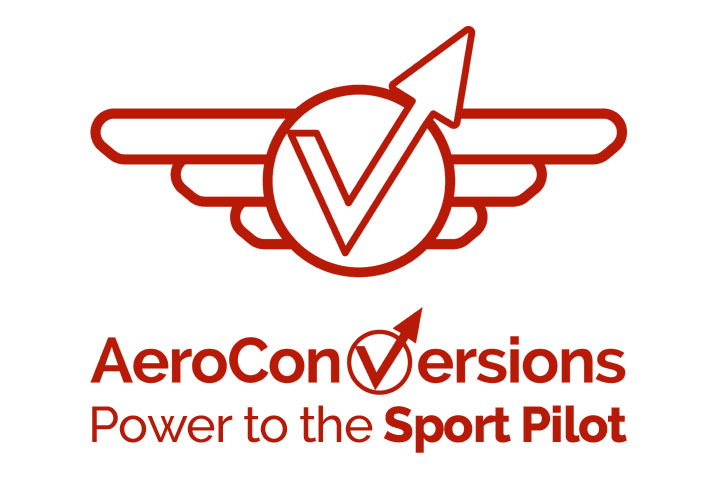 Plans also include a unique fillable kit aircraft Flight Manual. Sonex Aircraft Laser-Cut Metals Kits include all major laser-cut skins, formed wing and tail leading edges, fittings, gussets, and plates along with sheets of un-cut flat stock. All holes are located per plan and precision cut by CNC laser. This kit saves you hundreds of hours of layout and fabrication time! Precision Laser-Cut Pilot Holes allow builders to fabricate all major structures of the aircraft with no special jigs or fixtures, and skins that incur damage or hangar rash can simply be drilled-out and replaced with new laser-cut skins with perfectly-matching holes. Laser-Cut precision parts up to 0.190 thick! 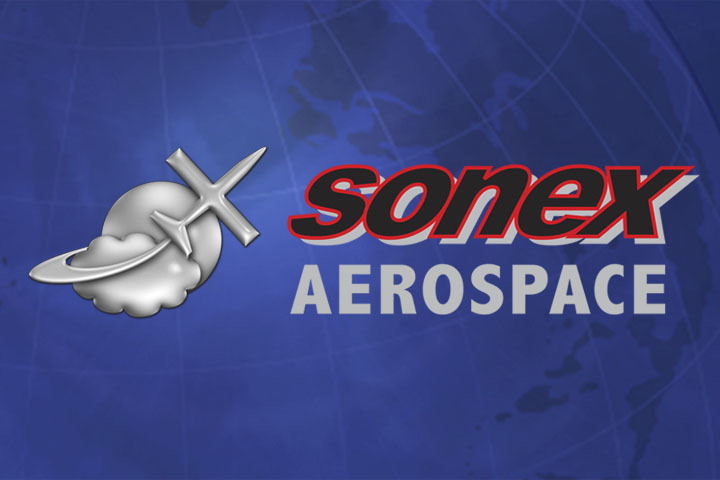 In August, 2012, Sonex Aircraft made the addition of new pre-fabricated parts to the popular Sonex and Waiex kit models, making the airframe easier and faster to build than ever before! Pioneered by the Onex Single-Place Aircraft Kit, Sonex and Waiex Complete Airframe Kits and Sub-Kits now feature Matched-Hole Formed Parts. Adding approximately 115 new parts to each model’s kit package, the Matched-Hole Formed Parts kit consists of channels, angles and clips that would traditionally have been made by the builder from pre-formed sheet aluminum blanks provided in earlier Sonex Aircraft kits. With matched pilot holes provided, these new kit parts not only reduce fabrication work for the builder, they also reduce build time and increase build accuracy by cleco’ing to existing kit parts right out of the box! Builders can further decrease build time with the addition of the optional Machined Angle Component kit upgrade, making tail, fuselage and portions of the wing assembly fit together in almost no time. 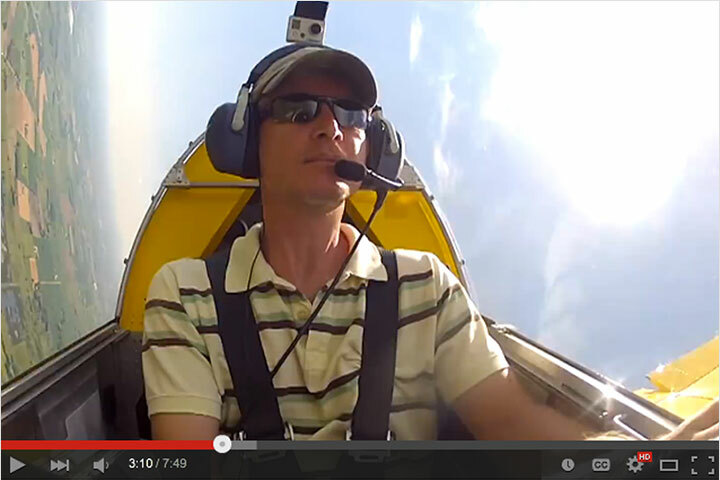 See Sonex Aircraft Matched-Hole Formed Parts in Action! Time Lapse Video: The following video is an entertaining 2-minute time lapse video showing assembly of the Onex Horizontal Tail using clecos. See the full 30 minute video below. Onex Horizontal Tail Assembly (Full Length Video): The following video is a 30 minute demonstration showing the assembly of a Onex horizontal stabilizer using clecos and the supplied kit parts. Important Note: This video demonstrates the completeness of the kit, not the proper construction order. The tail is built in a series of sub-assemblies following the kit-provided blueprints. All parts must also be deburred and the holes must be drilled to final size during assembly. The Sonex, Waiex and Xenos all use a proprietary “T” extrusion for the caps of the main spar I-beam structure. The Spar Caps included with your kit are 6061-T6 aluminum extruded and CNC machined to final size and shape. Sonex and Waiex Main Wing Spars are provided pre-riveted in all B-Model kits, making these extremely simple-to-build aircraft even easier to complete! Note: Bolt-on Assemblies are not installed (only the solid riveting is completed). Onex Main Wing Spars are available pre-assembled as an optional upgrade to your Complete Airframe Kit or Wing Sub-Kit! Save approximately 60 hours or more of work on your Onex project with this upgrade! In addition to being pre-riveted, Onex Pre-Assembled Main Wing Spar sets are also match-drilled at the wing fold pin locations, eliminating this task from your kit’s construction. Xenos Motorglider Main Wing Spars are available pre-assembled as an optional upgrade to your Complete Airframe Kit or Wing Sub-Kit! Save approximately 100 hours or more of work on your Xenos project with this upgrade! The Sonex Airframe Kit now includes machined tail spars, saving the hours of difficult work required to fabricate these intricate parts from raw angle stock. SNX-T06-03 Forward Horizontal Spar Fitting and SNX-T03-02 Aft Horizontal Spar Fitting are now included machined, drilled and bent per plans. Machined Tail Spars save builders the most difficult aluminum angle fabrication work. Sonex Aircraft kits include all welded parts required to complete the aircraft. Parts are welded from laser-cut blanks by an FAA-certified welder and powder-coated gloss black for a beautiful finish and easy inspection. Sonex Aircraft, LLC is pleased to offer Machined Angle Components. The Machined Angle Component Kit almost completely eliminates the need to fabricate parts from raw 6061-T6 aluminum angle extrusion,* thus saving the builder approximately 200 hours or more of construction time! Machined Angle Components are provided in all Sonex-B, Waiex-B and Xenos-B kits. Note: Xenos-B Machined Angle Parts are only those parts common with Sonex-B and Waiex-B. Xenos builders will have to fabricate approximately half of all parts made from extruded aluminum angle for the aircraft. Extruded aluminum angle stock is provided in Xenos-B kits for this purpose. Machined Angle Parts are available as an optional upgrade for Onex kits. 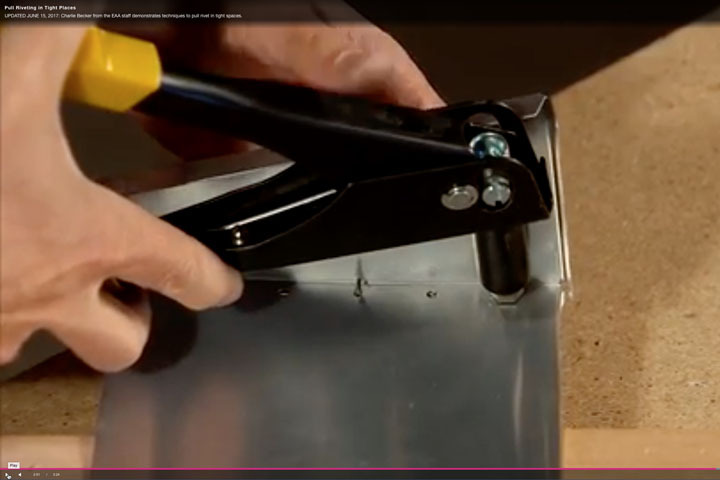 *Some parts made from extruded aluminum angle still need to be fabricated by the builder. Extruded aluminum angle stock is provided in Sonex Aircraft kits for this purpose. All Sonex Aircraft kits come with an Aluminum Angle Bundle that contains all of the Angle and Bar Stock needed to complete your project. Sonex Canopies are produced at our factory in Oshkosh. Canopies are made from Plexiglass (Acrylic) with a rubber additive for enhanced durability. Sonex Aircraft Windshields are made from Flat Polycarbonate (Lexan) for superior durability against bird strikes or other hazards. To ensure a succesful canopy installation, please be sure to read and follow our Canopy Installation Tips. Sonex Aircraft Kits come with Canopy and Windshield Bows. New for B-Models: Machined Canopy and Windshield Bows! Sonex-B, Waiex-B and Xenos-B designs feature Machined Canopy Bows for easier canopy installation with a perfect fit. The Onex kit, and all Legacy (A-Model) kits include pre-formed aluminum canopy bow blanks made from 6061-T6 aluminum tube. Legacy (A-Model) kits also include pre-formed windshield* bow blanks, made from aluminum round bar stock (*Onex uses laser-cut flat stock for a flat-wrap windshield strap). Sonex Aircraft Kits include fiberglass components, pre-molded and gel-coated for easy paint preparation. Parts Include: Cowling, Wheel Pants, Wing Tips, and Tail Tips. Note: The Xenos Airframe Kit comes standard with Utility Wing Tips. Aerobatic Wing Tips for the Xenos may be ordered as an option. Sonex Aircraft feature rotationally molded cross-linked polyethelyne fuel tanks, which utilizes a threaded, screw-on fuel cap and machined aluminum NPT bulkhead fittings. The roto-molded tank makes the Sonex Aircraft fuel system one of the most durable and leak-proof systems available. The blonde coloring of the cross-linked polyethelyne tanks allow visual inspection of the fuel level. Sonex Aircraft Kits include Fuel Tank Straps. Onex and Legacy (A-Model) kits utilize 0.063″ thick 4130 steel straps, laser-cut, *pre-bent, and powder coated black. B-Model Aircraft utilize stainless steel fuel tank straps, which are provided pre-cut and formed and *pre-bent. *90 degree bends at strap ends provided. Builder must contour straps to the fuel tank upon installation. Sonex Aircraft are equipped with Titanium Alloy Gear Legs and Tail Springs for maximum durability and shock absorption, simplicity and ease of installation. All Sonex Aircraft Kits come with pre-cut and swedged Rudder Control Cables and a pre-cut and swedged Canopy Restraint Cable, saving the builder from purchasing costly swedging or nicopress tools. Sonex Aircraft Cables include plastic tubing to prevent chafing where routed through cockpit forward fuselage side walls. Tubing is also installed on canopy cables. Sonex aircraft use mostly pulled or “blind” rivets, and all Sonex Aircraft Kits include a Blind Rivet Kit, which includes all pulled rivets required for construction. Note: Some driven rivets are required to build all Sonex Airframe Kits unless utilizing Pre-Assembled Main Wing Spars. Solid Rivets are included as part of the Hardware Kit. Sonex Aircraft Kits include one brick of lead to be sawed in half to make Aileron Counterweights (not required for Xenos). Note: Xenos ailerons are not counterweighted. Sonex Aircraft Kits include a Bushing and Spring Kit, with several difficult-to-find hardware items required for Sonex Aircraft construction. All Sonex Aircraft Kits come standard with Wheels, Brakes, Tires and Tubes for either Standard or Tricycle Gear. All B-Model Kits feature AeroConversions AeroBrake Hydraulic Brakes to provide more consistent braking power for extended braking durations. Onex builders may optionally upgrade from Azusa mechanical brakes with AeroConversions Machined Brake Drums to the AeroConversions AeroBrake Hydraulic Brakes. Standard Gear Sonex Aircraft Kits include the AeroConversions 4″ Machined Tailhweel Assembly with Wheel. Builders anticipating rough field use may optionally upgrade to the 6″ Machined Tailwheel Assembly & Wheel (Note: 4″ tailwheel works great for normal grass strips and provides less drag than the 6″ tailwheel). Sonex Aircraft are designed to use universal braking and direct steering tailwheels & nosewheels for easy handling and simplicity. 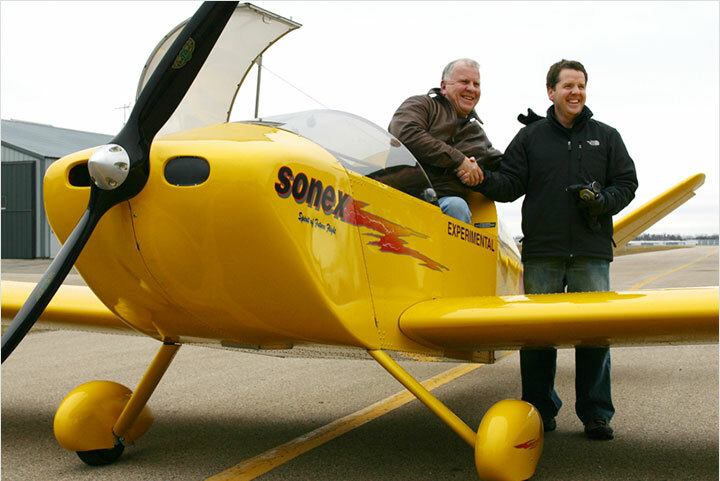 The Sonex direct-steering tailwheel system makes Sonex Aircraft some of the easiest taildraggers you could ever fly! Tricycle Gear Sonex Aircraft Kits include a robust Stainless Steel Nose Strut Spring. The Tri-Gear Parts Kit includes tri-gear specific laser-cut parts, as well as several difficult-to-find hardware items.